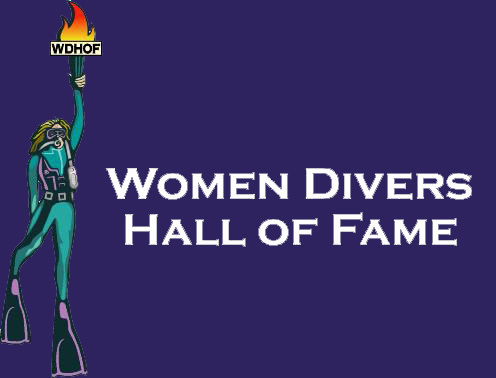 The Women Divers Hall of Fame (WDHOF) have announced their 2017 inductees. According to WDHOF's Facebook page, there are currently 186 members hailing from 30 USA states and 12 countries worldwide. These women will be officially inducted into WDHOF on 25th March 25 2017 at the Beneath the Sea Awards Banquet in Secaucus, New Jersey. The Women Divers Hall of Fame was founded in 1999 with the aim of fulfilling a two part mission. Firstly to recognise women divers who have made outstanding contributions to the exploration, understanding, safety and enjoyment of our underwater world. And to support the underwater world and its associated careers by promoting opportunities for women and men in diving through scholarships, internships and mentorship opportunities and a worldwide network of industry contacts. If you are interested in applying for a scholarship you still have time. Applications close at midnight on 18th November 2016 and must be made via the WDHOF website.